I had one of the first Nooks and purchased dozens of books. Well my Nook eventually died and I was given a Kindle Paperwhite to replace it. Are the books I purchased from B&N in Nook format just lost to me now? Is there any way to read them on a Kindle Paperwhite? Is it possible to read Nook books on Kindle Paperwhite? Undoubtedly, this is a very common question, especially for those who just turned to Kindle eReaders from Nook devices. Because Nook books are not supported by Kindle Paperwhite. Like many of its competitors, Barnes & Noble Company adopts DRM technology to encrypt most of its eBooks, which will stops users from transferring Nook books to many other devices, such as Kindle Paperwhite and Kobo eReaders, for enjoyment. What’s more, most of Nook books are packaged in EPUB format which obviously are not supported by Kindle Paperwhite, which typically accepts AZW, MOBI and etc. In this case, if you want to read Nook book on Kindle Paperwhite or other Kindle devices, two things must happen: remove DRM from Nook book and convert Nook books to Kindle-supported format. It seems a bit burdensome, as you may need to use two programs to complete this task. But no worries, here we will share you an ultimate one-stop eBook converting tool to help you complete this two tasks at once. 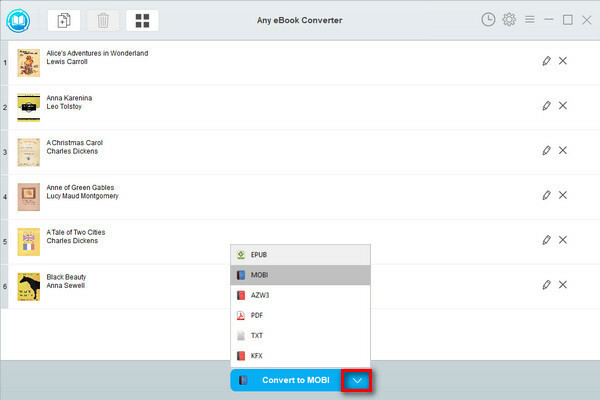 The magic Nook eBook converting tool we are talking about here is called Any eBook Converter. It is a top-rated eBook converter, dedicated to helping users bypass DRM restriction from protected eBook files. With built-in innovative DRM decryption technology, Any eBook Converter can easily remove DRM from Nook, Kindle, Adobe and Kobo eBooks, and convert them to various format, including EPUB, MOBI, PDF, AZW3, TXT and KFX. Kindle readers support AZW, MOBI, TXT, HTML, RTF, DOCX, and PDF format. So in order to make your Nook EPUB files readable on Kindle devices, you need to convert them from EPUB to Kindle-supported format. Here we will take MOBI format as an example. Before we get started, please have the program installed correctly on your computer. Click "Add eBook" button on the upper left. 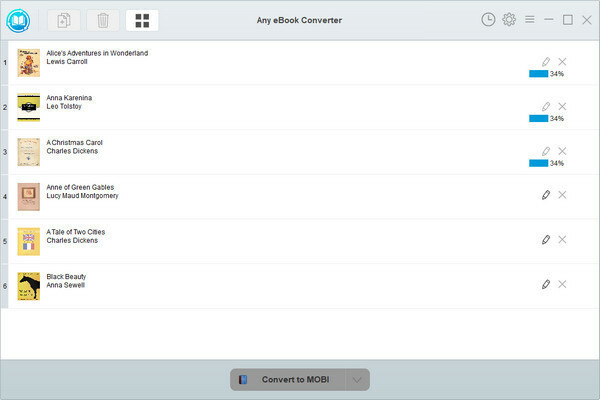 There will be a pop-up window prompting you to browse and upload the EPUB books that you want to convert to MOBI format. Click “V” icon on the bottom and select “MOBI” as the output format. By clicking the “Settings” button on the upper right to open the setting window, you can customize the output path for the converted books. 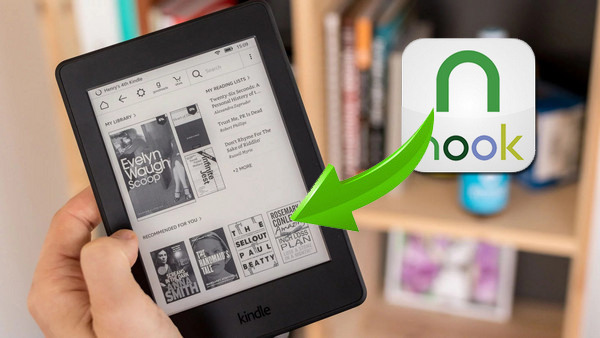 Now that you've got your Nook books in MOBI format, you can open them easily on an Amazon Kindle Paperwhite. 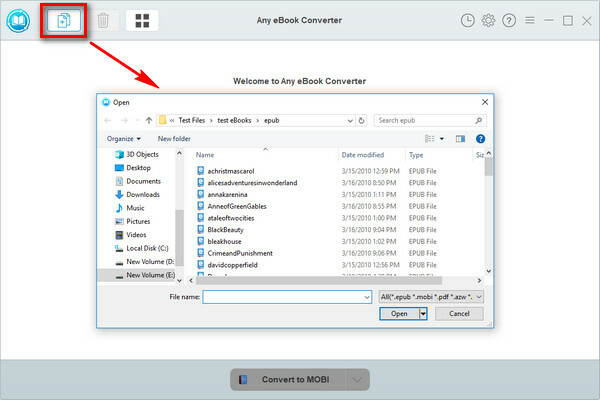 Simply connect your Kindle device to your computer with a USB and transfer the converted MOBI files to it.